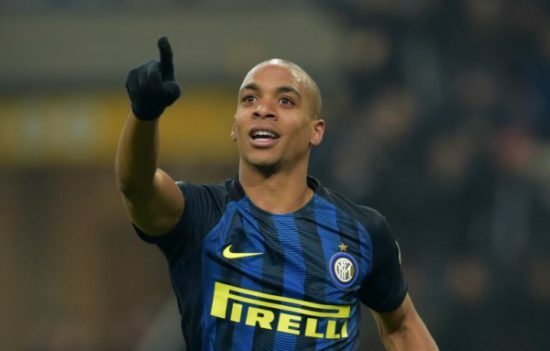 Manchester United manager, Jose Mourinho is reportedly lining up Inter Milan midfielder Joao Mario as a potential replacement for out of favour star Henrikh Mkhitaryan whose future at Old Trafford looks uncertain according to reports from Italian publication Corriere dello Sport via the Mirror. The Armenian playmaker has struggled to regain his early season form that made him a regular under the Special One and was key to the Red Devils impressive start to the season having notched up five assists in his first three Premier League games. However, the former Shakhtar Donetsk midfielder has fallen down the pecking order after series of lethargic displays and needs to recapture his early season form if he wants to save his Old Trafford career. Portuguese international, Mario joined Italian giants, Inter Milan last summer from Portuguese side, Sporting CP for a reported fee of €40 million after series of impressive displays for his former side. He also impressed in midfield for Portugal at the 2016 European Championship held in France in which they eventually won. The 23-year-old has found games hard to come by under new manager Luciano Spalletti so far, this season having featured in just 11 games of which seven has been from the bench. With his future looking uncertain at the San Siro and given his age and potential he might be open to a move to Old Trafford in the winter in other to boost his chances of representing his country at the FIFA World Cup in Russia next summer.